Tomorrow we turn the calendar to December and it’s all Christmas lights and glitter. So for today, allow me to post one more fall image. 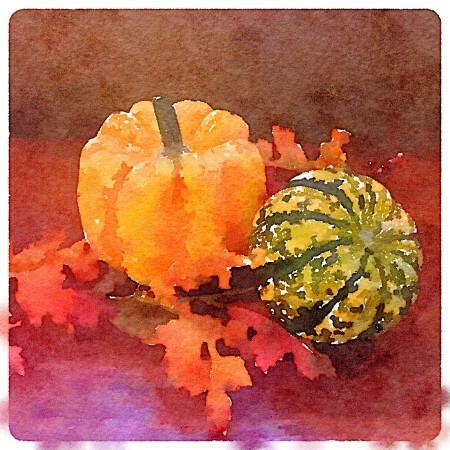 A watercolor in honor of this last day of November. See you tomorrow for Think Write Thursday. That lovely watercolor is the epitome of fall! I love fall. This one was particularly beautiful! Ah, that’s nice. Because it’s starting to get all crazy! I have a Christmas party on Friday!! Lovely last look! Here it comes!!! November is worth embracing for one last day! November went by TOOO quickly. I hope the rest of winter goes that fast. 🙂 Thank you for blogging every single day this month. You guys all ROCK! so pretty…and such a nice way to end NaBloPoMo! getting my thoughts together for tomorrow. I’m not quite ready for it to be December!! so hard to believe December is here-a great way to say goodbye to November! A quick note to say thank you for blogging daily in November..it is quite a commitment and I really appreciate it as I love reading your blog…thank you! ?